Yes, it’s the same grape but what makes the wines so different. Find out as we taste wines from four different classic growing regions, Burgundy, Russian River Valley, New Zealand, and Willamette Valley. 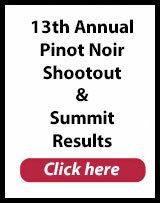 Taste award winning wines from the 13th Annual Pinot Noir Shootout. Meet the winemakers and discuss one on one their approach and philosophy to winemaking. 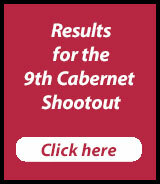 Blind taste twelve of the top-rated wines from the 13th Annual Pinot Noir Shootout. Taste the selected wines and pit your palates against the expert panel of judges. Rate your preferences and vote for your favorites. We produce and import New Zealand pinots and would like to attend the Friday, July 24 events. Please send us information regarding reservations.